Plastic State of Mind: Parody with Purpose – Short Film: True Life Story Of A Plastic Bag by Ramin Bahrani – The Majestic Plastic Bag A Mockumentary – Garbage! The Revolution Starts at Home – The Trashy Bags Story: Our Bags are Complete Trash – Bag It The Movie: Is Your Life Too Plastic? 1.8 trillion pieces of plastic weighing 80,000 metric tons are currently afloat in an area known as the Great Pacific Garbage Patch – and it is rapidly getting worse. These are the main conclusions of a three year mapping effort conducted by The Ocean Cleanup Research team. 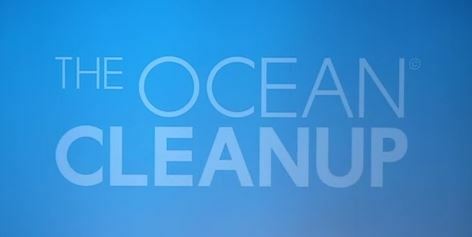 By installing a pilot clean-up system in the Pacific. The project marks the world’s first major initiative for collection of plastic from the ocean. Global plastic production has risen steadily since the 1950’s with over 5 trillion pieces of plastic currently estimated to be littering all the major ocean basins. The Ocean Cleanup, a non-profit organisation and globally recognised frontrunner in reducing plastic pollution, has developed a 600m long floating buoy system with a screen to collect plastic debris for recycling. In September 2018, the first offshore cleaning system will be installed by Maersk Supply Service’s AHTS vessel, Maersk Launcher, in the Great Pacific Garbage Patch (GPGP), located 1200 nautical miles off the coast of San Francisco. The installation of the first clean-up system is partly funded by A.P. Moller – Maersk and DeepGreen. Currently, DeepGreen has Maersk Launcher on charter and has released it to perform the operation for the Ocean Cleanup. The total contribution is around USD 2m in vessel services and equipment which also includes providing transportation of equipment needed for the installation of Cleanup System 001, from the UK and Denmark to San Francisco, as well as providing open top containers for the collected plastic. “A. P. Moller – Maersk contributes to the protection of the ocean environment through enhancing the sustainability of all our activities both at sea and on land,” says Claus V. Hemmingsen, Vice CEO of A.P. Moller – Maersk and CEO of the Energy division. “In addition to always taking great care that our operations do not pollute the oceans with plastic, we are also very pleased to take part in the world’s first major collection of plastics from the ocean. As a responsible maritime operator, we are committed to ensuring that the oceans can remain a healthy environment for generations to come,” he adds. The Ocean Cleanup’s long-term ambition is to install at least 60 systems to remove 50% of the 80,000 tonnes of plastic in the Great Pacific Garbage Patch within five years.